The K2 Dressage has been designed for those riders looking for an introductory ‘top quality’ dressage saddle, with feel and comfort. This saddle features the unique patented Adjusta-Tree™, allowing saddle fitters worldwide to pressure adjust the tree fitting. 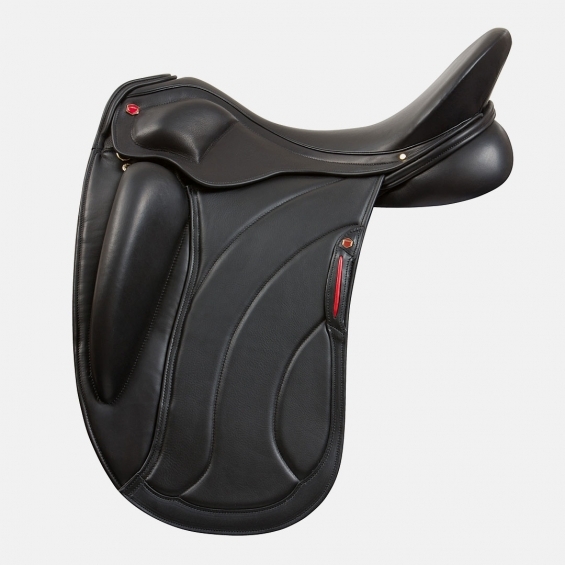 Riders looking for a shallower seat with a supportive leg position that is not too straight, love the K2 Dressage. The standard knee rolls are small sized, soft and supportive and are fixed in one position under the flap. The revolutionary Fabrento from Albion combines the absolute in comfort for horse and rider with outstanding technical capabilities, all delivered with the signature sleek style and unsurpassed premium quality synonymous with the brand revered by riders worldwide. Developed over the course of six months. the Fabrento draws upon Albion’s established engineering and design expertise and the company’s illustrious reputation for an unrivalled understanding of both human and equine anatomy. Led by Saddle Fitter to the Stars, Sherry Belton, the highly skilled team at Albion is responsible for the creation of bespoke saddle fitting solutions which ensure a best in class performance – and the Fabrento is the latest deluxe dressage saddle to join the line-up. 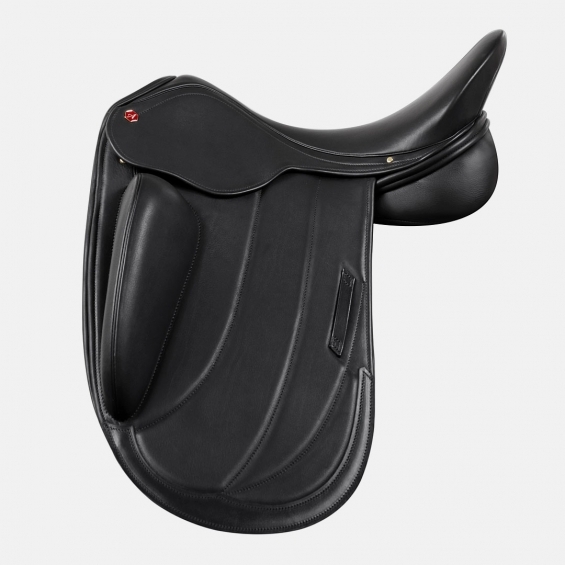 Designed in specific response to the demand for a streamlined and sleeker looking saddle, the Fabrento offers the dressage rider an exquisite riding experience, providing an indulgently soft and well balanced close contact seat to ensure maximum stability and comfort while encouraging the optimum supportive yet non-restrictive leg position courtesy of exterior thigh blocks. As you’d expect from an Albion saddle, the appearance and feel of this sumptuous mono flap dressage saddle do not disappoint; crafted from hand selected super supple calf leather, the Fabrento oozes exclusive designer flair and panache and is the first product to feature the iconic Albion head nail, a discrete branding detail to affirm the authenticity of the saddle. The narrower and slimmer cantle together with the delicate detailing add to the refined appearance, positioning the Fabrento as the epitome in effortless elegance. The revolutionary Fabrento Adjusta Tree TM (evolved from Albion’s successful SLK tree), has been exclusively engineered to provide a secure fit with its more open head and lower profile, evoking a design suitable for riders seeking the consummate close contact saddle. In addition, the impressive Adjusta-Tree TM’ technology, allows for precision fitting as well as enhancing the service life of the saddle. The unique, ergonomic wooden tree features a ‘Short Back Panel’ which complements the confirmation of the modern sports horse. This promotes maximum shoulder rotation whilst reducing loin pressure, permitting the definitive in freedom of movement, resulting in a content and happy horse. A pure wool felt lining with natural wool stuffing offers essential cooling qualities while the moulding around the back affords the highest level of comfort and improved weight distribution. Albion’s winning strapping solutions – which can be tailored to match the specific requirements of the individual horse – are incorporated into the Fabrento and include a point strap, a strap behind the point and V girthing which all contribute to improved stability of the rider andeven distribution of pressure for the horse. For the definitive style statement, Albion has introduced a specialist personalisation service. This allows you to create a totally bespoke look, by incorporating your choice of coloured stitching, loops and / or even adding an extra touch of dazzle with some Swarovski® crystal embellishment. Speak to your saddle fitter to find out more. Revelation Couture Saddles can be made to order for the horse and with set knee blocks for the rider using the new Albion Precision Fitting Systems. 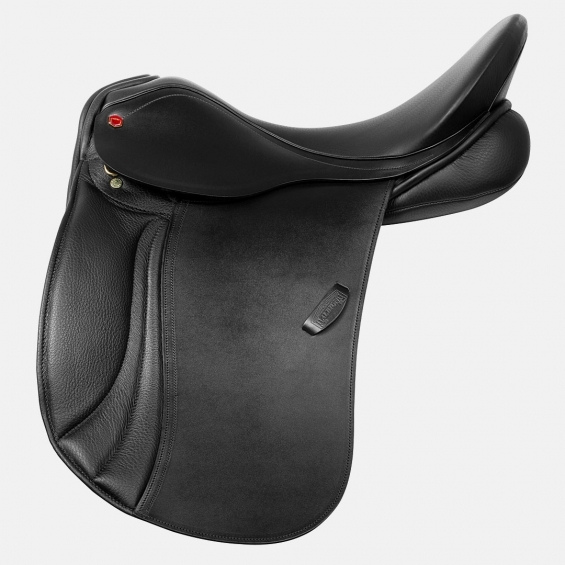 The Albion Revelation Red Label Dressage saddle features the RD500P or the RD500 trees. Both offer a unique level of fit, comfort and stability for the horse ensuring greater freedom of movement for the shoulder, wither and back area, maximising performance.